You can never have too many pairs of shoes ..... but you're going to need somewhere to store them! 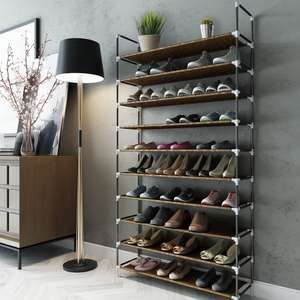 This 10-Tier Shoe Rack is a great option at just £12.00 delivered! 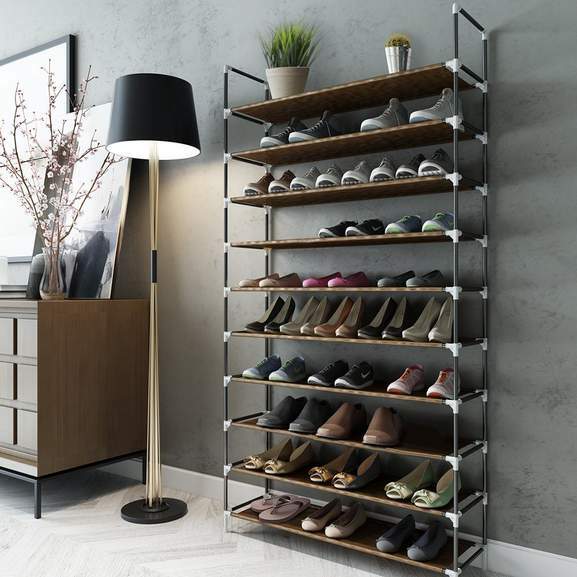 This Shoe rack has 10 tiers, and can hold around 50 pairs of shoes! Probably still not enough space for your average shoe loving woman! Need one or two of this after buying all bargain shoes deals posted here. …Need one or two of this after buying all bargain shoes deals posted here. Yep, ordered two for my wife. I'll take the extra shoes to a charity shop! Had one of these. Broke as soon as one pair of shoes went on it. Need one or two of this after buying all bargain shoes deals posted here. No one has as many shoes as my missus. she has her own room just for them! There are only 9 reviews but quite a few were detailed & featured with videos and pictures, amazon customers are very lazy, mostly. Lol a total ripoff of hukd. I'd probably half fill it with shoes boots and trainers. All shoes lovers should watch movie "children of heaven" 1997. It is available with English subtitles as well. Says 10 left then says OOS doh! This would come in handy, turns out I married a millipede. It is made of plastic so I doubt it will last that long. That's probably why they provide spare parts in the pack. Okay for a cheap way of storing lightweight women's shoes but I would of thought that the weight of a few pairs of men's klodhoppers would give it some grief.